Born at Wadsley, and resided at Wadsley, on 30/11/1895, he was Pte. 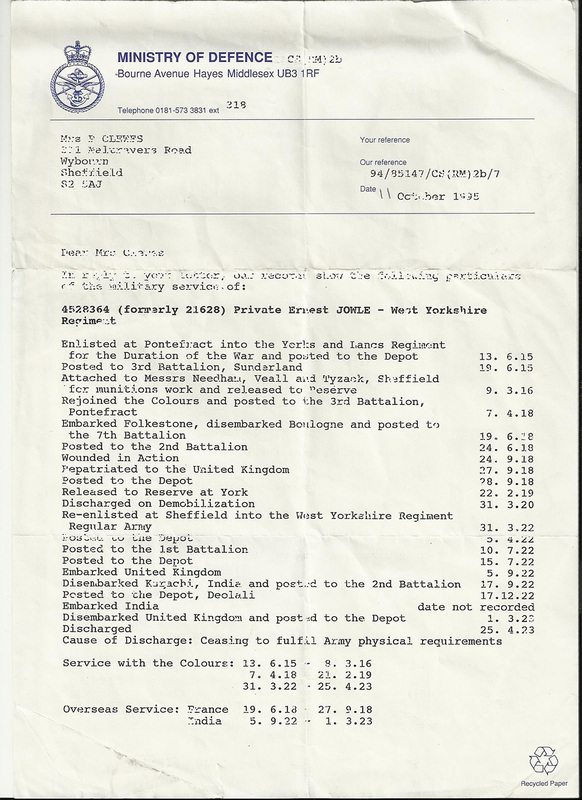 # 21628 of the 2nd York & Lancs after enlisting at Pontefract. Ernest died at Sheffield.